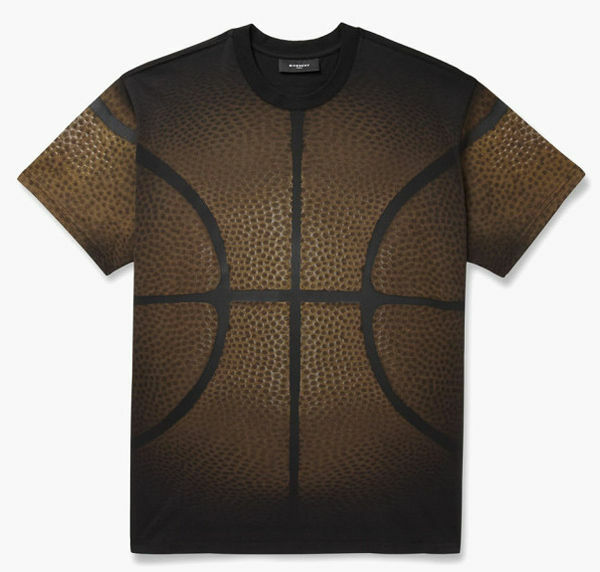 Bringing an air of sophistication to ordinary sports tees, the Givenchy Columbian-Fit Basketball-Print Cotton T-Shirt offers athletic enthusiasts the chance to add some couture features to their wardrobe. 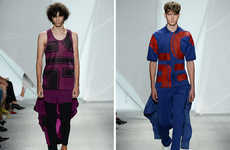 Known for their luxurious designs and haute runway looks, Givenchy is branching out into unexpected market areas to diversify their brand appeal. Creating a more casual aesthetic, Givenchy has created a t-shirt design with a printed image of a basketball that covers the entire apparel piece, combining sports references with a more artistic and chic overall design. Offering a more laid-back feel, this basketball-printed tee will definitely showcase your affinity for sports and couture clothing. If this designer tee is up your alley, then prepare to make a dent in your bank account, because this designer t-shirt will cost you approximately $895 to purchase.